Advanced Civil Speed Enforcement System (ACSES) - Wikipedia backgrounder: ACSES is a positive train control cab signaling system developed by PHW and Alstom. The system is designed to prevent train-to-train collisions, protect against overspeed and protect work crews with temporary speed restrictions. The information about permanent and temporary speed restrictions is transmitted to the train by transponders lying in the track, coded track circuits and digital radio. It is installed on parts of Amtrak's Northeast Corridor between Washington and Boston. American High Speed Rail Alliance (ASHRA) - Advocacy organization dedicated to creating and sustaining high speed rail corridors and improved passenger rail transportation in the United States. American Railway Engineering and Maintenance-of-Way Association (AREMA) - Its mission involves the development and advancement of both technical and practical knowledge and recommended practices pertaining to the design, construction and maintenance of railway infrastructure. Amtrak - Passenger train system in U.S. schedules, fares, reservations, tickets. Service in more than 500 U.S. communities in 45 states throughout a 22,000 mile route system. Burlington Northern Santa Fe - Operates one of the largest rail networks in North America, with 33,500 route miles covering 28 states and two Canadian provinces. California High-Speed Rail Authority - Online home for California's high-speed train project. California's electrically-powered high-speed trains will help the state meet ever-growing demands on its transportation infrastructure. Initially running from San Francisco to Los Angeles/Anaheim via the Central Valley, and later to Sacramento and San Diego, high-speed trains will travel between LA and San Francisco in under 2 hours and 40 minutes, at speeds of up to 220 mph, and will interconnect with other transportation alternatives, providing an environmentally friendly option to traveling by plane or car. California Watch - The Center for Investigative Reporting follows high-speed rail in California. Canadian Pacific Railway (CPR) - CPR's 14,000-mile network extends from the Port of Vancouver in the Canada's West to The Port of Montreal in Canada's East, and to the U.S. industrial centers of Chicago, Newark, Philadelphia, Washington, New York City and Buffalo. CN/UA TurboTrain Parts 1 2 3 - The 1970 24 minute film on the Canadian National/United Aircraft Corporation TurboTrain via YouTube. It is in 3 parts and taken from a digital master. The UAC TurboTrain was an early high-speed, gas turbine train manufactured by United Aircraft Corporation that operated in Canada between 1968 and 1984 and in the United States between 1968 and 1976 (though they were not disposed of by Amtrak until 1980). It was one of the first gas turbine powered trains to enter service for passenger traffic, and was also one of the first tilting trains to enter service. The TurboTrain was Canada's first and only high speed train. This film is fantastic. Enjoy this great piece of Canadian passenger rail history. Crossrail - Europe's largest railway and infrastructure construction project, with work mainly under way in central London. Also see Wikipedia. European Commission: High Speed Rail System - Under the EC Treaty (Articles 154 and 155), the Community has the task of contributing to the establishment and development of trans-European networks in the area of transport. In order to achieve these objectives, the Community must take the necessary measures to ensure the interoperability of the networks, particularly in the field of technical standardisation. The Commission has adopted in May 2002 the Technical Specifications for Interoperability for 6 subsystems (the texts of the TSIs have been published in the Official Journal L245 of 12 September 2002) and published in 2003 a Guide for the application of the High-Speed TSIs of Council Directive 96/48. European Rail Traffic Management System (ERTMS) - A European cab-based signalling and train control system that offers significant capacity and performance benefits, as well as further enhancing safety beyond the capability of legacy ATP systems. European Railway Agency - A safe, modern integrated railway network is one of the EU's major priorities. The European Railway Agency was set up to help create this integrated railway area by reinforcing safety and interoperability. The Agency also acts as the system authority for the European Rail Traffic Management System (ERTMS) project, which has been set up to create unique signalling standards throughout Europe. European Train Control System (ETCS) - A signalling, control and train protection system designed to replace the many incompatible safety systems currently used by European railways, especially on high-speed lines. Alos see page at UIC. Federal Railroad Administration Office of Safety Analysis - Making railroad safety information including accidents and incidents, inventory and highway-rail crossing data readily available to the public. Friends of Amtrak - An internet advocacy effort supporting continued funding for Amtrak by providing information on legislation and Amtrak operations. 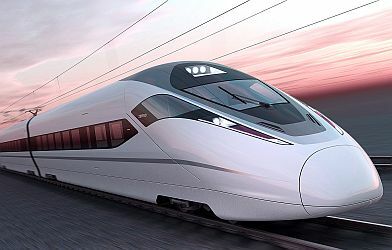 High-speed Rail - Wikipedia article, including infoamtion on high-speed lines, high-speed trains , and high-speed rail by country. High Speed Rail: Canada - Canadian national advocacy group for high speed rail. Hitachi-Rail - Railway system supplier. Product lineup including trains, traction components, signalling system, and train management systems. International Railway Journal (IRJ) - Monthly publication written for senior managers and engineers of the world's railways and transit systems, ministers of transport, manufacturers, railway planners, and consultants. Jernhusen - Develops, owns and manages statios areas, maintenance depots and freight terminals throughout the Swedish railway system. Light Rail Transit Association - Information and campaigning about better public transport through trams, tramways, streetcars and light rail transit systems. LNER Class A4 4468 Mallard - A London and North Eastern Railway Class A4 4-6-2 Pacific steam locomotive built at Doncaster, England in 1938. It is historically significant because it is the holder of the world speed record for steam locomotives. National Railway Museum - Home of the UK's national collection of historically significant railway vehicles, as well as a collection of other artefacts and both written and pictorial records. The NRM in York displays a collection of over 100 locomotives and nearly 200 other items of rolling stock, virtually all of which either ran on the railways of Great Britain or were built there. Also on the 20 acres (8.1 ha) site are many hundreds of thousands of other items and records of social, technical, artistic and historical interest, exhibited mostly in three large halls of a former motive power depot next to the East Coast Main Line, near York railway station. Also see Wikipedia. Network Rail - Runs, maintains and develops Britain's rail tracks, signalling, bridges, tunnels, level crossings, viaducts and 17 key stations. Also see Network Rail Archive, which provides documents from the very earliest days of railway construction, including records from some of the most famous railway engineers including Isambard Kingdom Brunel, Robert Stephenson, Joseph Locke and William Henry Barlow as well as some of the railway's most significant structures and stations. New York Subway Resources - The history of New York City's subway system and other transit systems around the world. North American Crude by Rail - This map displays major routes and terminals for the transport of crude oil by rail in the U.S. and Canada. Oil Change International compiled a comprehensive list of crude-by-rail terminals at each point of the transport process. Progressive Railroading - Railroad news, reporting, resources. Rail Cargo Services - Yahoo! compilation includes Burlington Northern Santa Fe, Canadian National, CSX, Norfolk Southern, Union Pacific Railroad and many more. SNCF - France's national state-owned railway company. Railway Age - Rail industry information and news. Railway Technology - International coverage of railway networks both in operation and under development. Railway Track & Structures Magazine (RT&S) - Rail industry news. Union Internationale des Chemins de Fer HSR - International organisation of railway sector including 197 members across all 5 continents. Promotes rail transport at world level. Promote interoperability. Creates new world standards for railways (including common standards with other transport modes). Union Pacific Corporation - One of America's leading transportation companies. Its principal operating company, Union Pacific Railroad, is the largest railroad in North America, covering 23 states across two-thirds of the United States. The Corporation's trucking operations include Overnite Corporation which owns its less-than-truckload (LTL) carriers, Overnite Transportation and Motor Cargo. This webpage last updated on Thursday, September 6, 2018 4:11 AM.